These days, marketers are upset with influencer marketing. Thus, it’s getting more and more difficult to stand out with various outreach strategies. I’ve faced this issue too. I have found some very effective influencer outreach strategies that still works incredibly well and will save you hundreds of hours of time! But first, I’d like to give you something that will make your life much easier. Please feel free to download my Web Growth Pack! 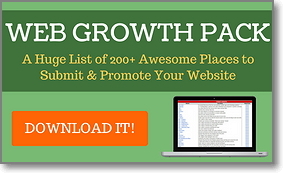 It’s a huge list of 200+ various places where you can submit and promote your website or blog. Ready for my top influencer outreach strategies? Everyone who is at least somewhat familiar with outreach understands what a time-consuming work it is. Unfortunately, I know that feeling too. I was going from site to site, looking for the prospect contact information and uploading everything into an Excel or Google sheet. Then I had to copy-paste an email template into my email provider and make it at least somehow personalized. That’s so much work to do! …till I found Ninja Outreach software (read my review here). And all of this takes me no more than 1-2 hours to complete! Of course, you can use any other outreach tool, but my personal choice is Ninja Outreach and I’m completely convinced it’s worth recommending to others. 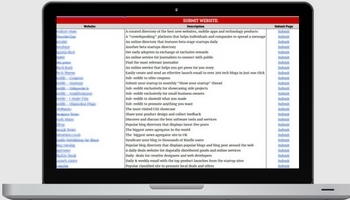 It’s like a Google, Buzzsumo, Followerwonk, Email Hunter, Buzzstream, Gmail and Yesware tool All-in-One! Important tip: When you are doing outreach to influencers you need to impress them with the quality and design of your website, otherwise all your outreach will be in vain. Besides the quality of the content you write, your website needs to feature a premium web design which inspires confidence. A good paid theme such as Divi from ElegantThemes goes a long way in proving to people that your site is trustworthy. Check out this review by CollectiveRay.com here. Here’s where this tool gets seriously cool. 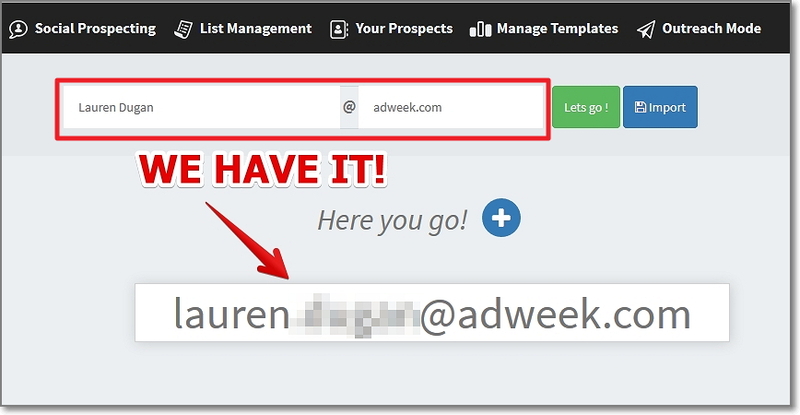 Ninja Outreach lets me customize each email to the level of personalization that’s most appropriate while keeping the same message. 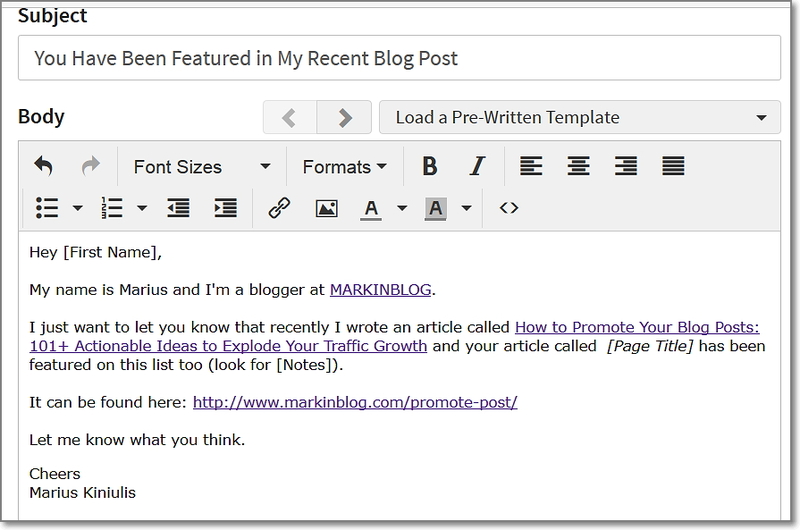 Here’s what my email template looked like, when I was contacting bloggers and influencers mentioned in my last blog post. Do you notice how easy it is? 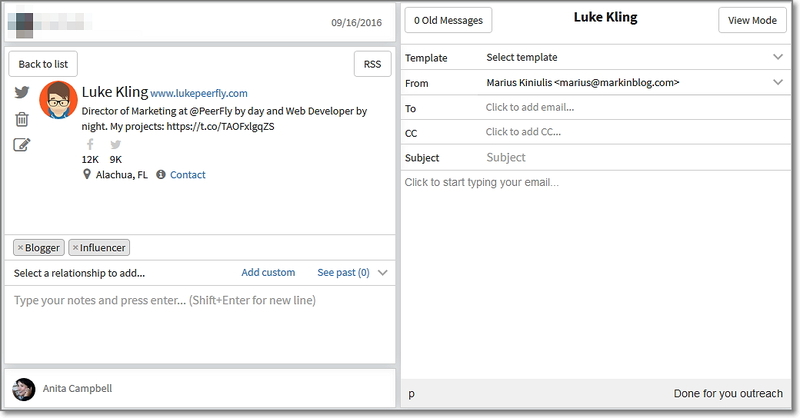 All you have to do is hit Send, and Send again, or you can set up automatic email broadcasting and automated follow-ups. This tool is a huge time-saver, letting me reach hundreds of people in less than few hours (or even minutes). Featuring other business bloggers in your blog posts might be the simplest, yet one of the most powerful things you can do to get their attention. 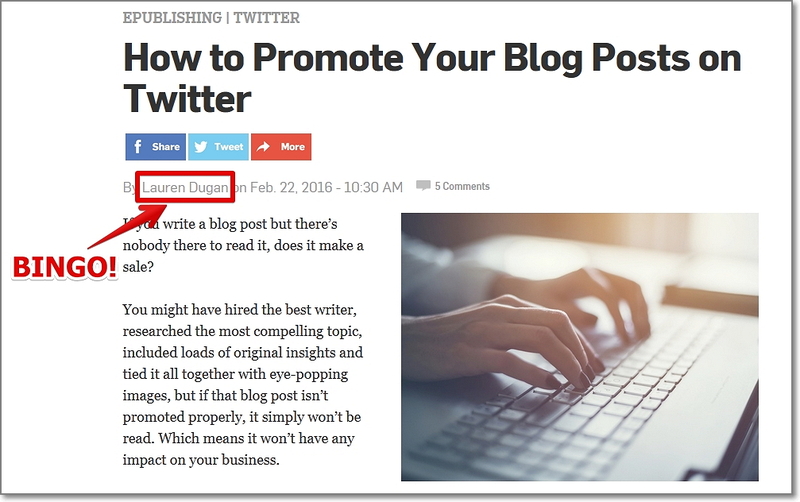 This is probably one of the most successful tactics I’ve ever used for my own blog post promotion! Moreover, links from blogs with high readership can send a bunch of highly targeted visitors. To do so, just highlight the text that contains the links you’re interested in, right-click on the highlighted space and select “Load links to Ninja Outreach“. When it’s done, you will receive a notification from the Chrome Extension, letting you know how many sites have been added. You can review them one by one, or you can Add all or Skip all of them. Finally, open an outreach mode and contact them all one by one. Usually, you should get a reply from them with a nice thank-you message. Also, they will most likely share your article with their followers. But here’s one more thing. What if they’re not getting back to you via email, or you’re unable to contact them this way (sometimes bloggers hide their contact details because of the high number of emails they’re getting every day). I still have a solution for you. 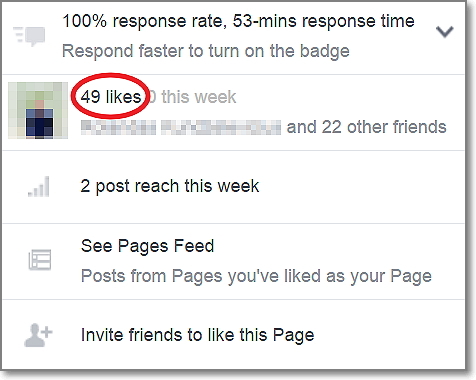 This is a huge difference when compared to the ratio of page likes and organic reach. There is absolutely no big secret. So, next time when you’ll be sharing something on your Facebook page, don’t forget to tag all the people who could be related to your post. Expert roundups have been some of the most successful traffic generating posts for many online bloggers recently (including myself). And how about the traffic stats of this post? How can I create an expert roundup post that gets 1000s of visitors? There are three important steps. Step 1: Decide what type of roundup post it will be. Expert roundups can be all kinds of types. Expert roundups without their contribution. Feature their best articles, blogs, etc. Tools roundups. Create a post featuring various online tools and their creators will happily promote you. My List of 150+ Free Online Marketing Tools or this online marketing tools article can be a good example of that. Decide, which type would work the best for you and move on to step 2. Step 2: Find the contacts. 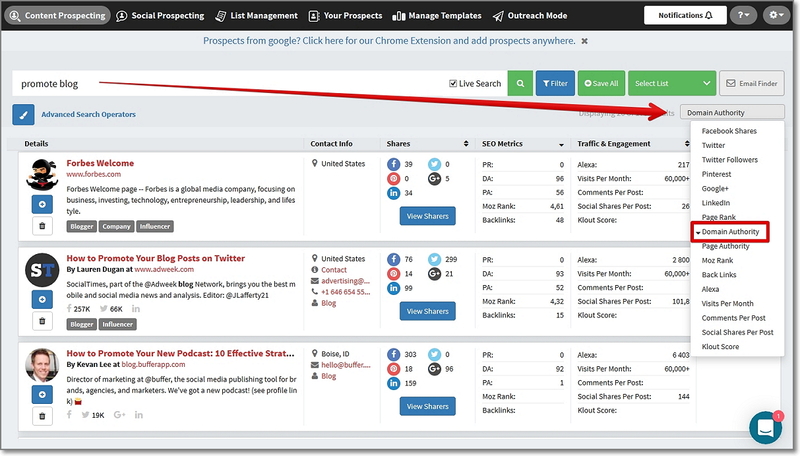 First, you can use Ninja Outreach Content Prospecting and Social Prospecting features. 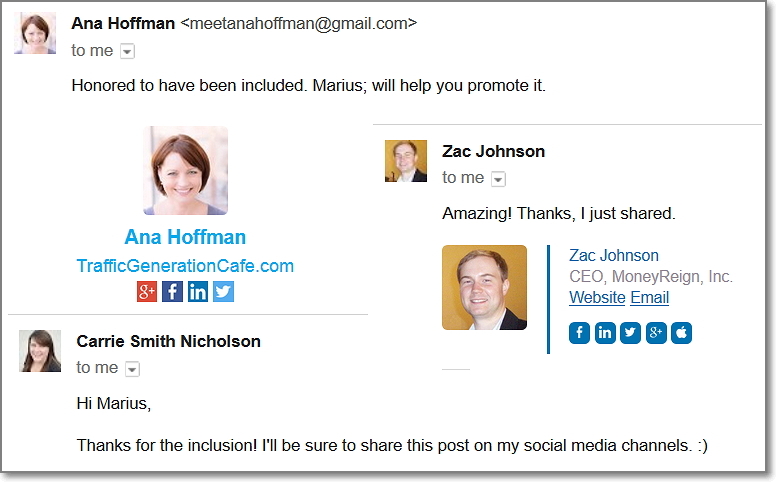 From there, you can add them to your chosen list and contact them about possible collaboration regarding your blog post. 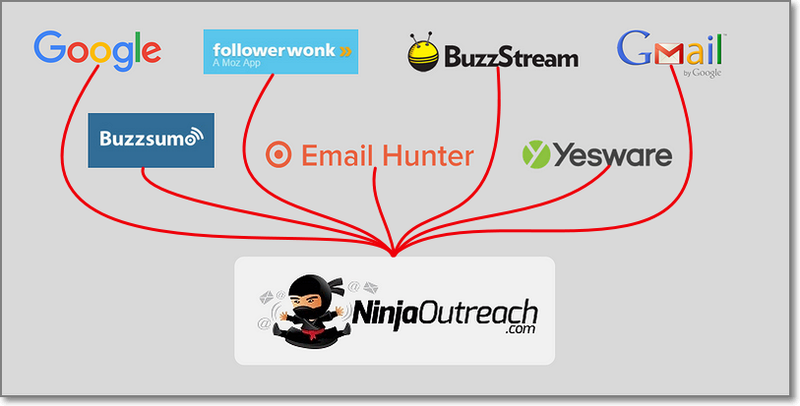 You can use Ninja Outreach content prospecting tool. With the help of this tool, you can find bloggers and influencers who have written specific articles about your chosen topic. 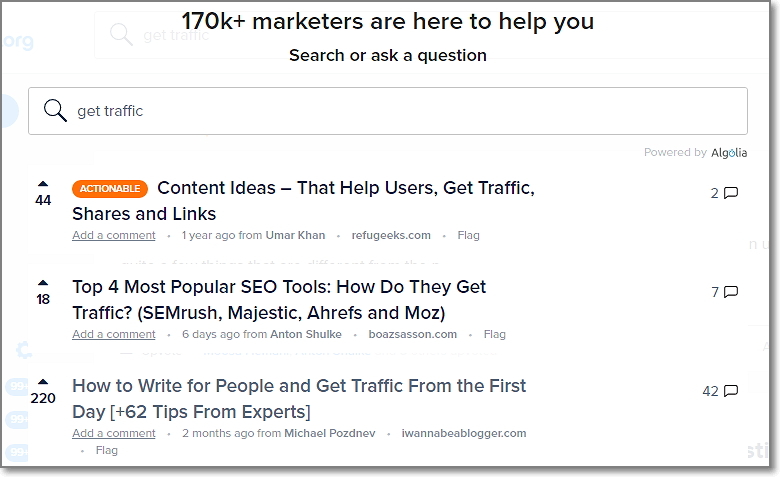 This feature can be especially powerful if you want to do an expert roundup with their best articles, like I did with my traffic resources article. Second, look for influencers in the biggest online communities. 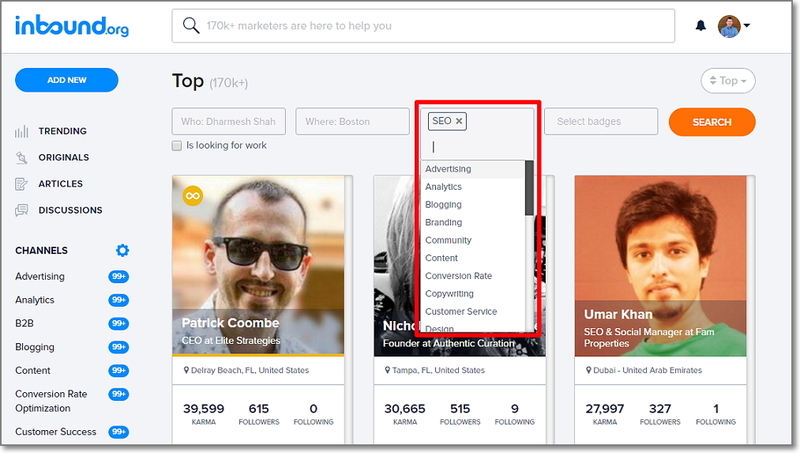 Another interesting place where I like to search for influencers is an online community called Inbound.org. This is a place where almost all of the top online marketing influencers hang out. If you go to their Members page you can find thousands of members with a high number of karma points. Usually, members who have lots of karma points are well known in the community and have a considerable number of followers on their social networks as well. Now all you have to do is to check every profile one-by-one and see if their social profiles have enough following. If they meet your selected criteria – add them to your list. If an article received many upvotes from community members, then it definitely means that it is a very useful and well-regarded information source. Meanwhile, the author of the article is probably an expert on the subject. 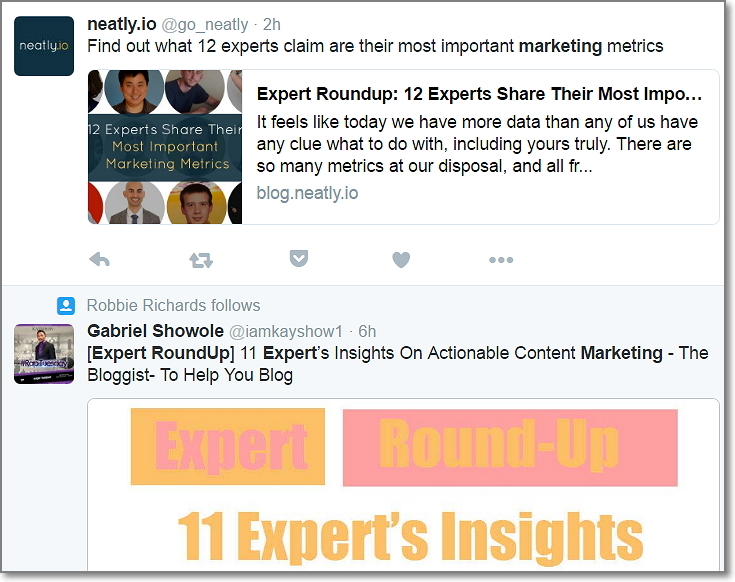 Truth be told, expert roundup posts are beneficial not just for those who publish the post, but for those who get featured on it too. 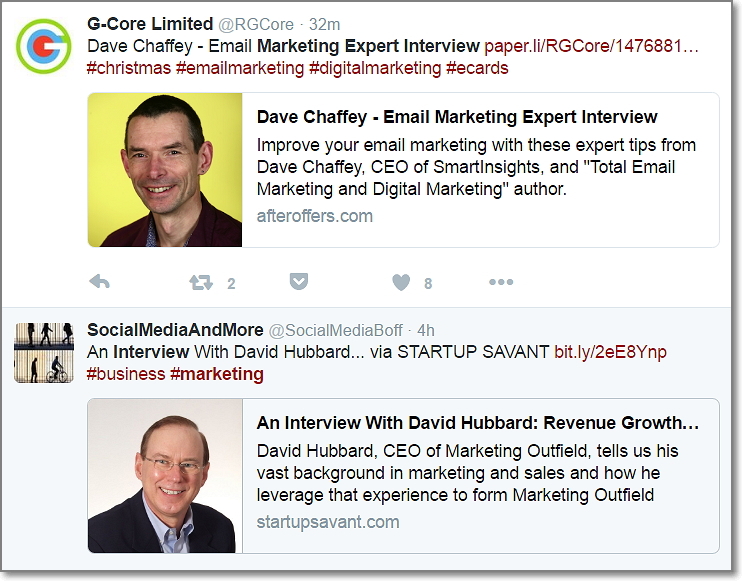 Bloggers who do expert roundup posts get many influencers who will be sharing that particular roundup post on their social media profiles. Meanwhile, those influencers who are featured in expert roundup posts also gain additional exposure for their brand, and in most cases for their articles too. Once you get some momentum going, and people see your quotes being featured around the web, the opportunities will start to find you. But to take advantage of it, you need to get the ball rolling first. So, here are some ways to do just that. 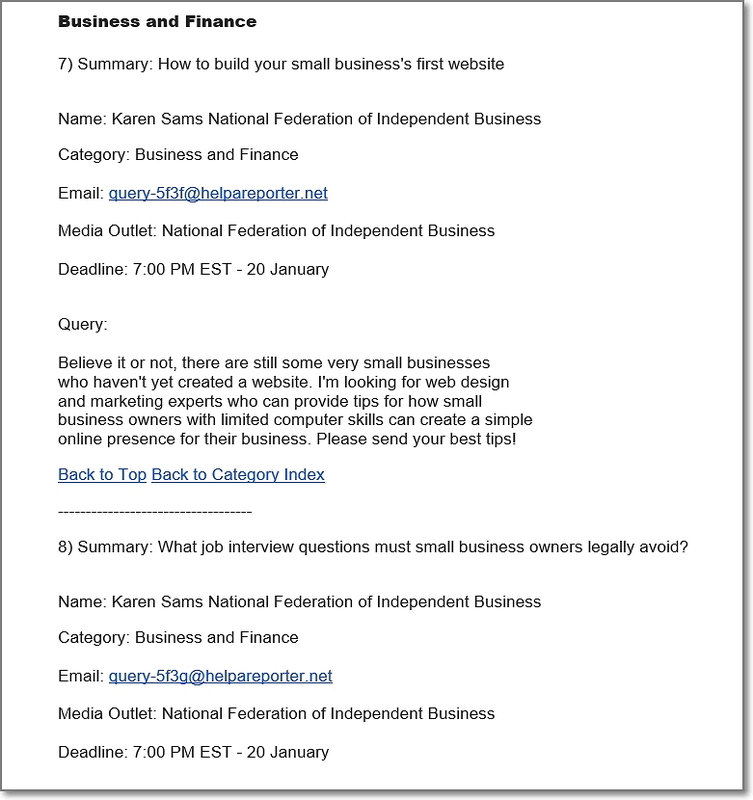 HARO is an online service set up for journalists to quickly gather feedback from the public. To start using these services, you just need to sign up as a source and subscribe to their mailing list. Once you’ve been enrolled, the service will start sending you daily messages in which reporters share what they’re looking for in their articles they’re currently working on. Respond to an invitation, and if your skills and experience match up, you could see yourself quoted in top publications like the New York Times, ABC News and many others. Twitter is the main source of news and trends in almost any industry. And this network can be used as a great source to find the latest interview or expert roundup opportunities. These sites are your targets. Contact those sites one-by-one and offer your candidacy for an interview post. By the way, the same strategy can be applied for expert roundup posts too. Just change the last word into Roundup instead of Interview in the same query. …by searching them on Google and other search engines! 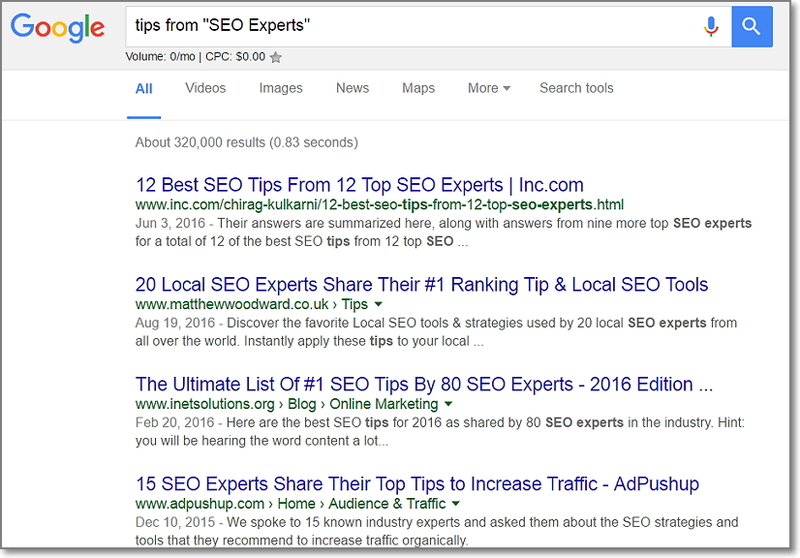 Just use the [Tips from “[Niche] Experts”] operator when searching on Google. All these blogs are your targets. They may love to feature you in a feature interview or expert roundup posts if they find you interesting. 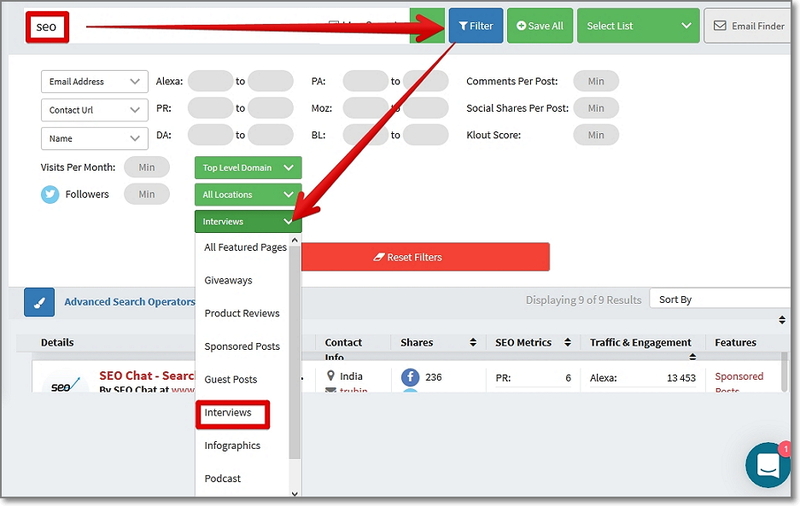 Alternatively, you can use the Ninja Outreach tool and use “Interviews” filter to find blogs and websites doing interviews in your niche. 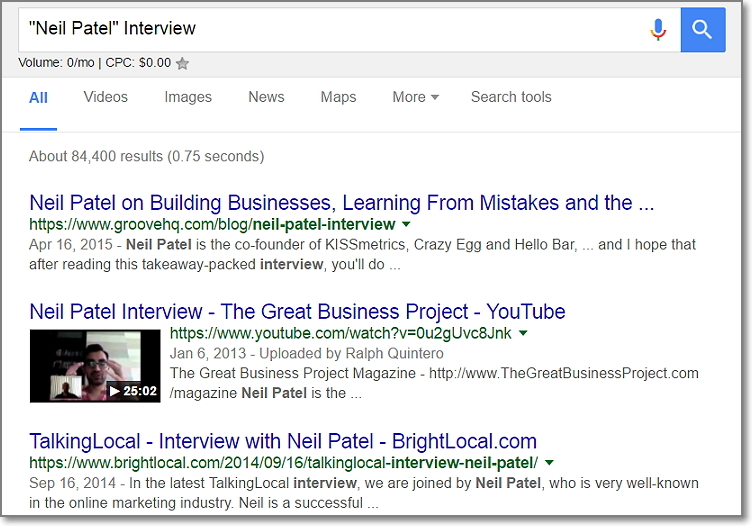 To do so just enter your niche keyword in the search bar and filter the results by pages which are marked as Interviews. If a post has many shares, then it should definitely have been shared by some of the well-known influencers. And if an influencer has already shared something similar to what you’re writing about, then they should most likely be interested in your content too. How to find these influencers? Well, I have good news for you. It’s very easy! You can also enter an exact URL here if you have identified it already. Congratulations! These are your targets. 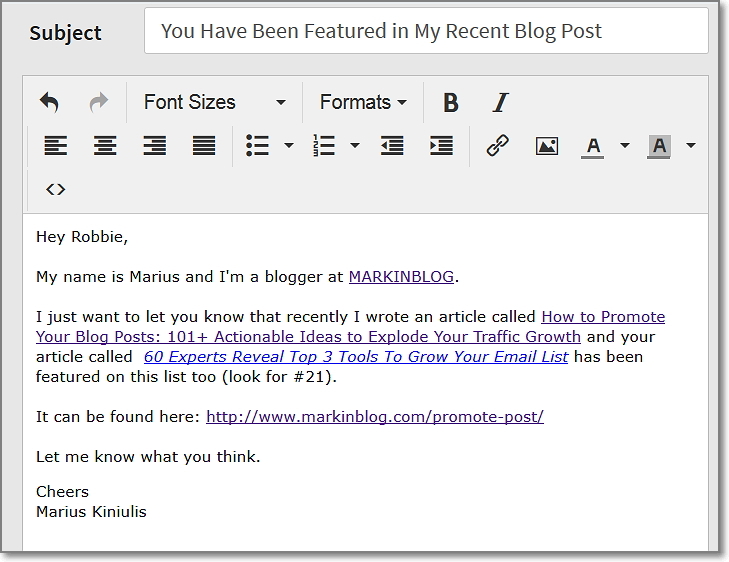 Contact them ALL and show them your awesome blog post. There’s a high chance that they’ll be interested and share it with their followers. No matter who you are – a blogger, entrepreneur or startup owner – you still want journalists to write about you. Getting featured on highly popular publications can send you hundreds, if not thousands of visitors to your site. Plus it strongly enhances your name and company brand awareness. But in order to do so, you need to get in front of the right journalist who could write about you. Curious how to do it? 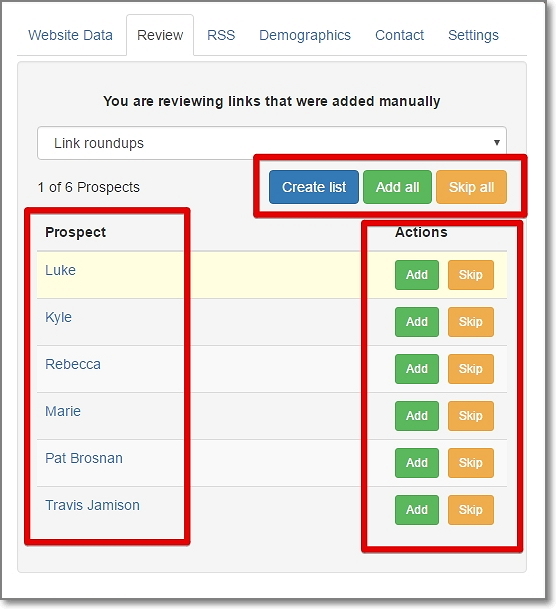 Ninja Outreach has a very powerful feature called Social Prospecting. What it does is search a database of Twitter and Instagram influencers, in which there are millions of people to choose from. Another option is to search for a specific publication and see if you can find writers and contributors. For example, let’s say you wanted to find people that are writers or contributors to Forbes. Many of the people that will come up are either active contributors to Forbes or have been featured on Forbes (which means they have a connection). Therefore, you can reach out to them with your pitch. In addition to the social search to find journalists and publications, you can also use the Ninja Outreach Content Prospecting tab. 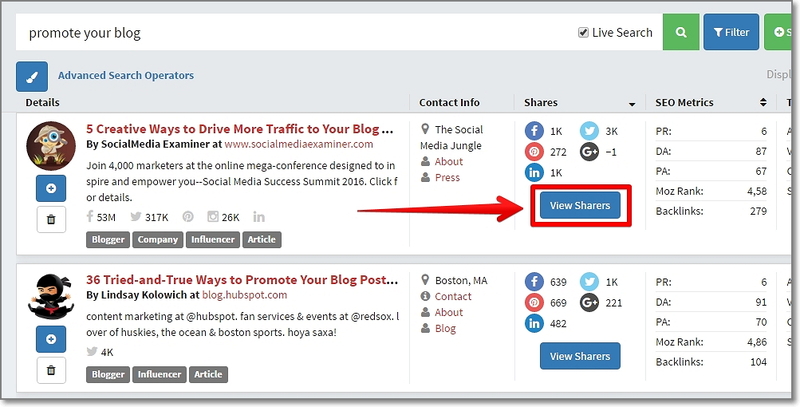 The Content Prospecting feature will help you find journalists who have already written an article on a specific topic (which means that they have already expressed an interest on that topic and there’s a high chance to get their attention with your offer). Now we have to get their contact information. To do so is very easy. Voila! You have their email address. You can reach out to the journalist and try to pitch him. Here is a very cool thing you can do with Facebook Ads. When you have great or newsworthy content to promote, use Facebook Ads to get in front of journalists working in popular media companies. Would you like to know how to do that? 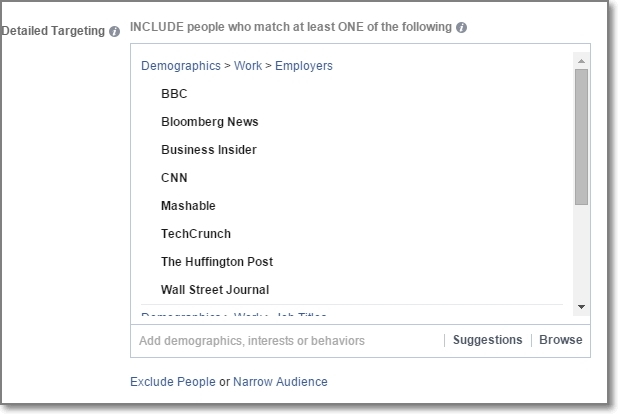 When setting up ads in Facebook Ads Manager, click on Demographics, then use the Work field and start listing the media outlets that you would like to get coverage from. 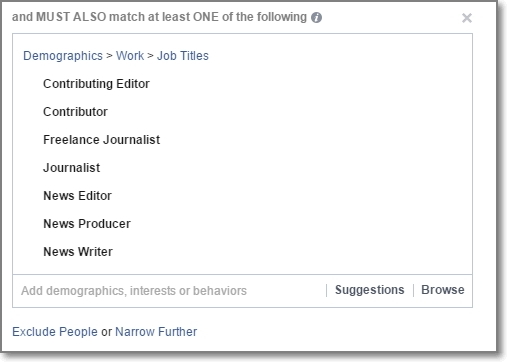 Next, click on the Narrow Audience tab and choose the Job Titles feature under the Demographics > Work field. When it’s done – list all the job titles. This will allow you to show your ads specifically to journalists of these news agencies. And also to increase your chances of getting your content featured on any of those sites. 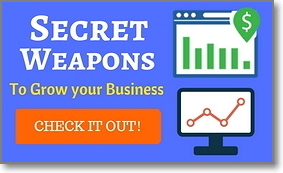 Every blogger wants to show prospective customers that their product works. They spend a lot of time writing and sharing ideas with people and they still get little feedback from their audience, even when the advice they give to others is implemented and helps someone accomplish something. And only a few people realize that the easiest way to form relationships with influencers is to take their advice, test it out, and when something works – share the results with them. If you have implemented something into your strategy and had success with it – always reach out to those who were talking about it and tell them your accomplishments. I almost guarantee you’ll get a response. We can both agree. Commenting on other blogs can be great. 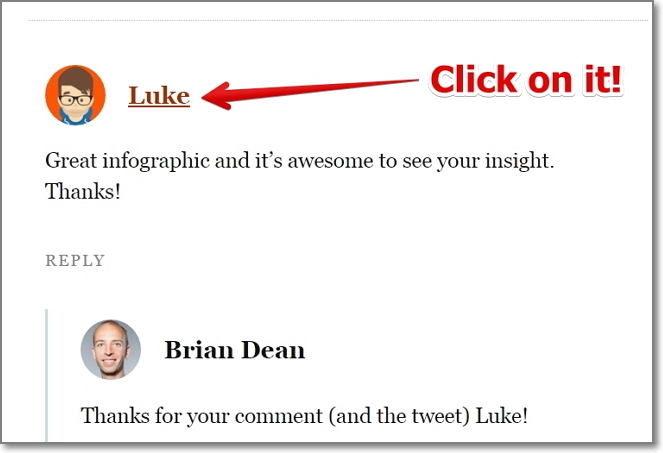 …how to turn those blog commenters into your loyal readers? Imagine that you’re writing an article about the best on-page SEO strategies. Who are the people most likely to be interested in your fresh new article on this topic? People who have commented other similar blog posts! These are the people, who have already expressed an interest in the topic you’re writing about. So why wouldn’t they be interested in a better blog post you have just written? Just let them know about it! The first step is to visit a site within your niche that has published an article similar to yours and gets a lot of interaction in the comments. Well, to find such an article is easy. Next, you’d have to make a note of the websites of all of the people commenting – you can usually see this by clicking on their name, or just hovering over it. In most cases, you should be able to find a contact form on their website. Alternatively, you can use the Ninja Outreach Chrome extension to get things done much faster. 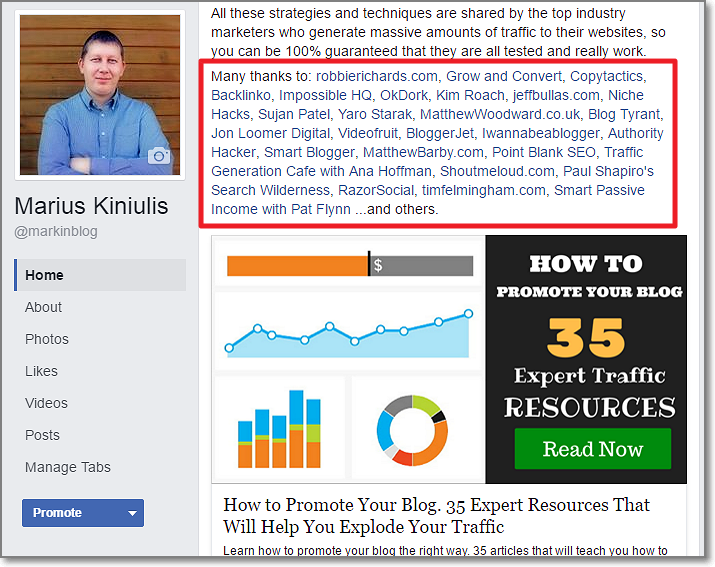 Go to your chosen blog post and highlight comments with links in their name. Once this is done, right-click on the highlighted space and select “Load links to Ninja Outreach“. 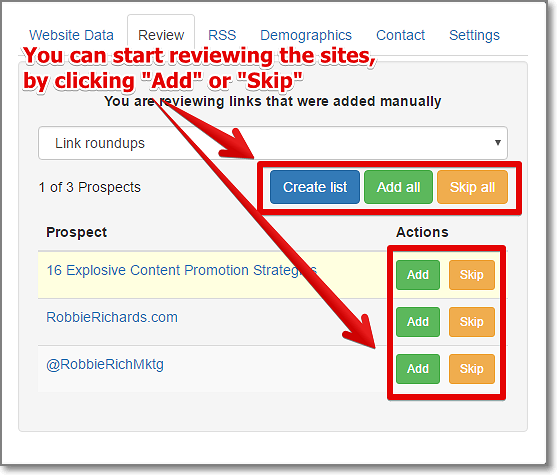 You’ll then be able to start reviewing these links by skipping them or adding them to your chosen list. Then Ninja Outreach software will automatically gather their contact information and you’ll be able to contact them via the outreach mode. The plan is to contact as many people from these comments as possible. Within your outreach email, ask the people to read your latest article and leave feedback in your comments – if they do, it’s a success! More often than not, commenters will share your article and sometimes even go further – subscribe to your email list. You probably have some type of newsletter on your website. And you think you can reach your subscribers whenever you have something new to show them. But do you know what the biggest problem is? 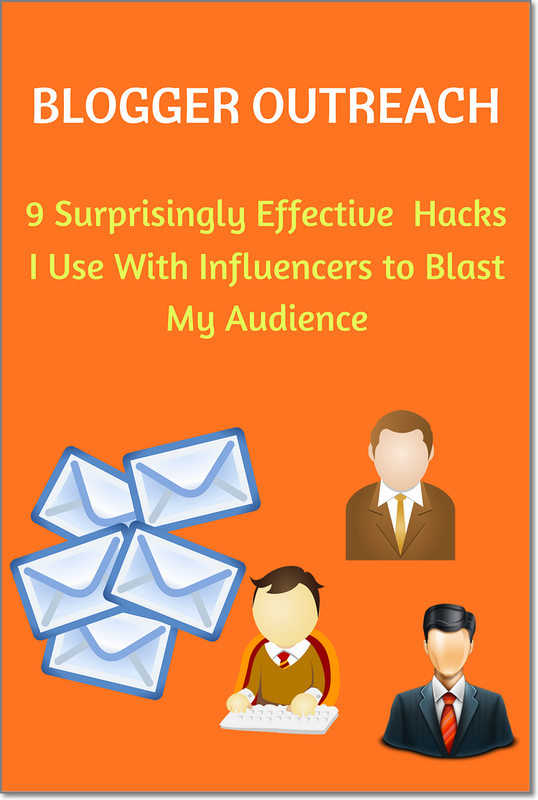 Not all of the people who are reading your blog are on your email list. And do you know what the hidden traffic opportunity could be? After email subscribers, blog commenters are your next most engaged audience. They have read your content and taken the time to leave a comment. That means this audience already knows you and is likely to be more engaged with another article from you. In order to contact them, just use the process that was stated in the previous tip about emailing blog commenters on other similar blog posts. If you email your commenters to say “Thank you” and politely ask them if they could retweet your content – you’ll be surprised at how many will be happy to do so! Now that you’ve seen my best blogger outreach strategies, I’d like to hear from you. What are your best ones? Leave a quick comment below. 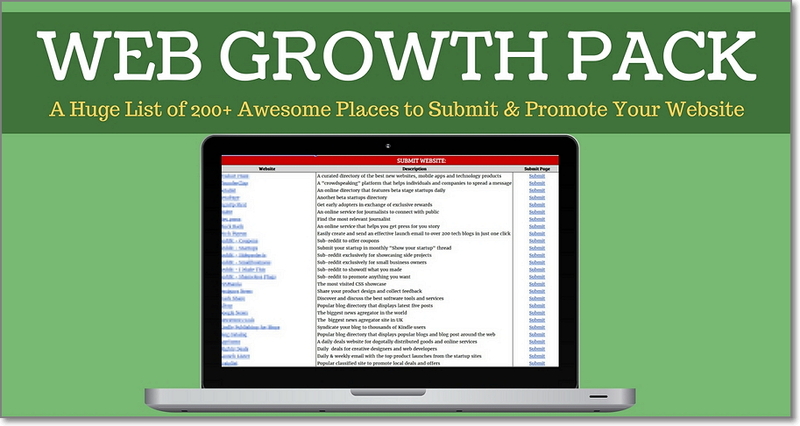 Don’t forget to download my Web Growth Pack where you’ll find a full list of 200+ places to submit and promote your website or blog. I always like to read your article. 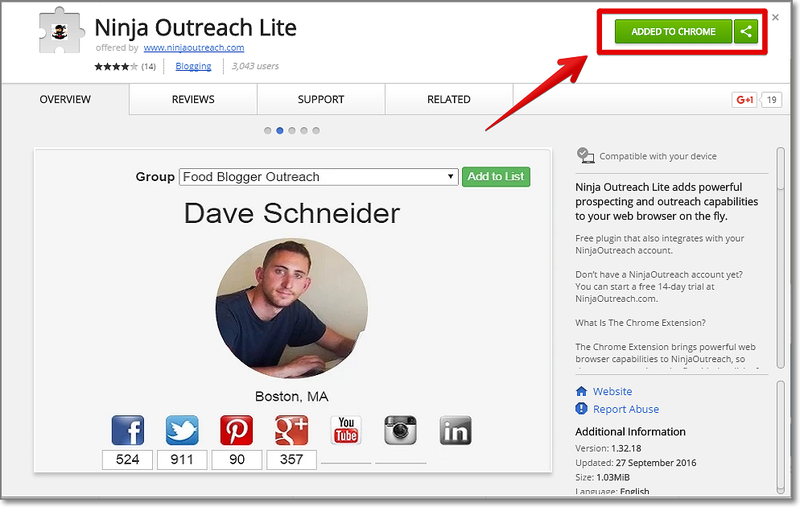 Blogger outreach a great strategy to grow website traffic and generate quality leads. And, you have shown the exact way how doing it in a right away. I am going to use this tactic for my next blog post. 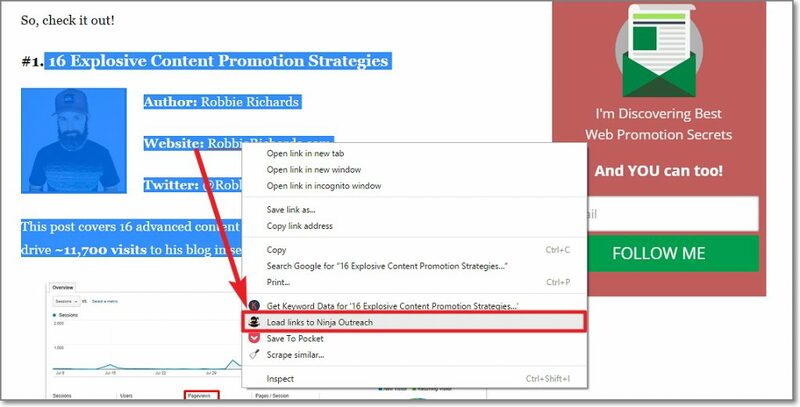 Thanks for sharing your valuable tips and revealing about ninja outreach chrome extensions. Thanks Umesh! I’m realy glad it was helpful. Interesting! Thank you for sharing this amazing content. It’s my pleasure to inform you about https://betapage.co/ it is a startup directory where you can discover, hunt and upvote on various innovative startups as per your choice. Great article Marius! I noticed you mentioned FB and Twitter. Do you also use LinkedIn for outreach? Good for you, Marius! How’s it going so far? 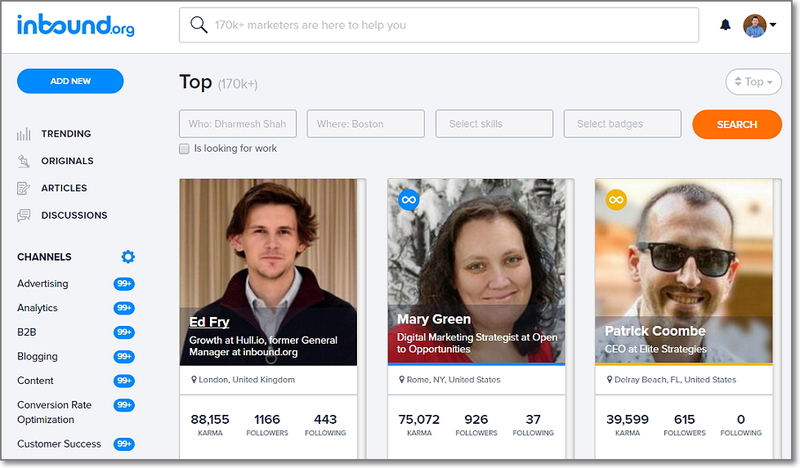 Does LinkedIn convert good? Would love to hear your thoughts 🙂 Thanks! Amazing post. I want to outreach other bloggers but it takes a lot of time. Now, I know the tool will help me do this hard work. Thanks for sharing. Awesome piece! You got some nice tips here. However, I want to know what is your take on writing emails with a casual tone (e.g. using emoji)? What a great post you wrote here. Love the idea of finding a site that wrote something similar, check out their commenters (if they have any) and reaching out to them. That only makes sense because they liked that piece of content .. then they should enjoy yours as well. Great stuff. Loving your content, my friend. Excellent tips Marius. #2 is so darn easy. It takes nothing to feature a big time blogger on your blog. Then email them, and tag ’em on social media. All these folks deeply appreciate the exposure and more than a few will share the post with their networks, expanding your reach far and wide. EASY! Thanks a bunch. 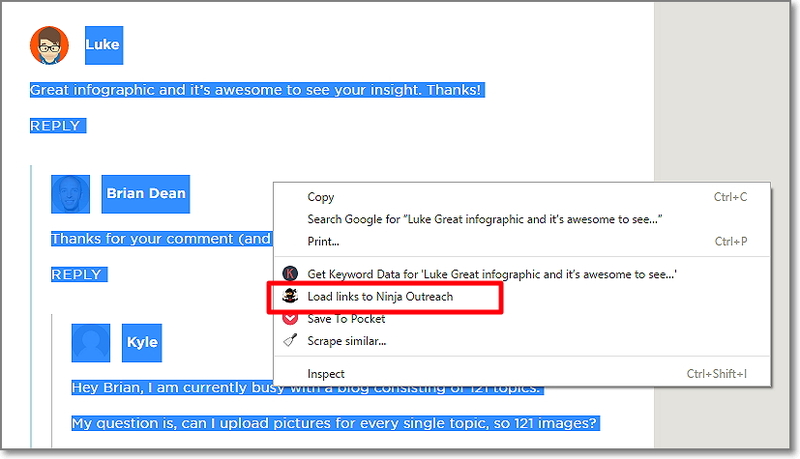 Ninjaoutreach is very useful for influencer and blogger outreach. I have tried outreaching and it really helped me to get connected with bloggers and increase by blog readership. 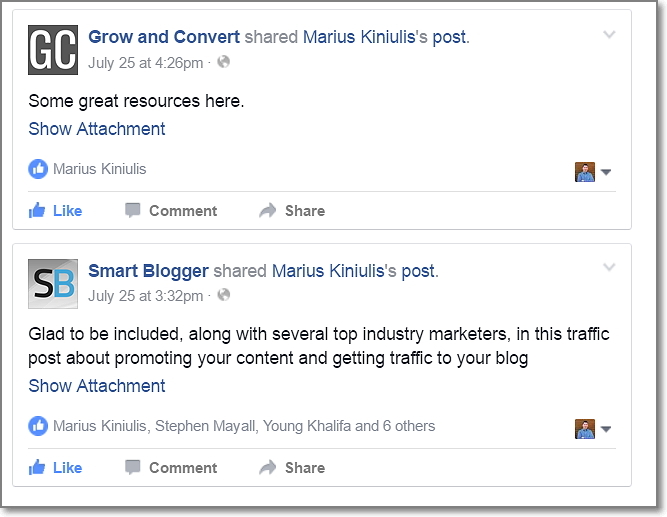 I think there are plenty of outreach strategies we can use to get more comments, shares on our blog posts. Aligning your email and social media outreach with each other will help you to gain more exposure. Thanks for sharing this wonderful article with all of us. Impressive thought Marius. I got a totally different experience when compared to other posts. What I like the most in this post is to take the advice of the outreachers and also share our accomplishments back to them. This is good like something you give and something you take. I’ll definitely use this idea in my very next post and will wait for a response. Thank you again for sharing this wonderful article.